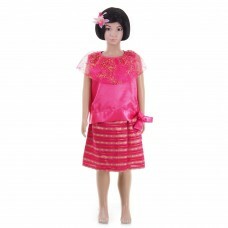 Detail:Material: Satin Top & Thai silk SkirtMain color: PinkSize: MTopBust: 71 cm (28 inch).. Detail:Material: Lace Top & Thai silk SkirtMain color: OrangeSize: LPlease see size details from.. Detail:Material: Lace Top & Thai silk SkirtMain color: CreamSize: STopBust: 76-94 cm (25-30.. Detail:Material: Lace Top & Thai silk SkirtMain color: PinkSize: LTopBust: 76-94 cm (30-37 .. Detail:Material: Lace Top & Thai silk SkirtMain color: PinkSize: STopBust: 76-94 cm (25-30 .. Details:Material: Satin Pants & Cotton mixed polyester shirtMain color: Brown Top - Purple Pants.. 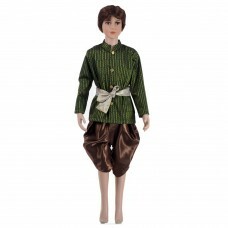 Details:Material: Satin & Thai silk mixed polyesterMain color: Green Top -Brown PantsPackage inc.. Details:Material: Satin & Thai silk mixed polyesterMain color: Purple Top - Beige PantsPackage i.. Details:Material: Satin Shirt & Polyester PantsMain color: Blue Shirt - Blue-gold PantsPackage i.. Details:Material: Cotton Pants & Thai silk mixed polyester shirtMain color: Blue Pants - Gold Sh.. 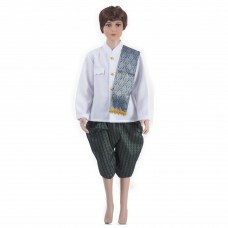 Details:Material: Cotton mixed polyester Shirt & Thai silk mixed polyester pantsMain color: Whit.. 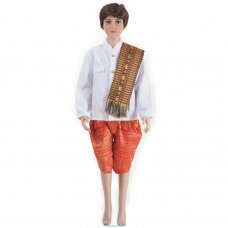 Details:Material: Satin Shirt & Polyester PantsMain color: Gold Shirt - Brown-gold PantsPackage .. Details:Material: Satin Top & Thai silk pantsMain color: Red-GoldSize: LTop: Shawl sizeBust: up ..